Ryhope CW won their first competitive Ryhope derby, beating Sunderland RCA 3-1 in the Northern League Division One. Dominic Moan gave RCA an early lead. However, it took just five minutes for debutant Craig Ellison to equalise. James Ellis added two before the break to give Colliery Welfare an important victory against a side that came into the game 2nd in the league. Colliery Welfare’s side included three debutants. Goalkeeper Joe Atkinson and striker Craig Ellison both signed from Spennymoor, as well as Leon Ryan who re-joined the club and was immediately named as captain. RCA came out of the blocks quickly and took the lead inside three minutes. CW couldn’t get the ball away, RCA exchanged a few passes before finding Moan who added a powerful strike from inside the box to give the away side the lead. An early goal for RCA in the previous meeting at Meadow Park in the FA Cup set the tone of the game, but this time CW responded much better. It took no more than five minutes to find the equaliser, Matty Weirs won the ball back in midfield and drove forward, he added a great ball over the top of the defence and Craig Ellison was on the end of it to add a wonderful chip over Dimitros Tsapalos. RCA looked to be in just a few minutes later, knocking the ball around Atkinson, but a great double tackle from Danni Lay stopped them getting a shot away. Ryhope were awarded a penalty in the 24th minute, they looked to take the lead following a goal-line scramble, but Luke Page blocked the ball on the line with his hand which resulted in a red card for the RCA player. James Ellis stepped up to add a powerful, low strike down the middle, tucking away his fourth penalty in three games. Ellis then added his second just minutes later. A ball was played up the left wing for him to run onto, he made a great run into the left side of the box before adding a thunderous finish into the right corner. After an eventful first-half, the second slowed down quite a lot. Colliery Welfare had the advantage with the extra man and had the better chances in the second-half. One of these came through Craig Ellison in the 55th, his pressure on the RCA defence meant they made a mistake which gave him a clear run on goal, however his shot flew well over. Nathan O’Neill looked dangerous with some powerful efforts, one such effort in the 66th minute forcing Atkinson into action with a decent save. Jake Winship’s 30-yard effort in the 70th minute wasn’t far over the bar, RCA giving the midfielder a lot of time and space to think about his strike. Robbie Bird made a great run to get through on goal in the 78th minute, but his effort on goal was straight at the ‘keeper. Nathaniel Skidmore looked to get onto the rebound, but the ball never really sat right for him. Ellis almost completed his second hat-trick in two games, some great play from Ryhope as they patiently waited for a scoring opportunity before finding Ellis on the right, his strike narrowly wide of the left corner. It was a deserved win for Colliery Welfare, and a wonderful way to end the Derby rut. 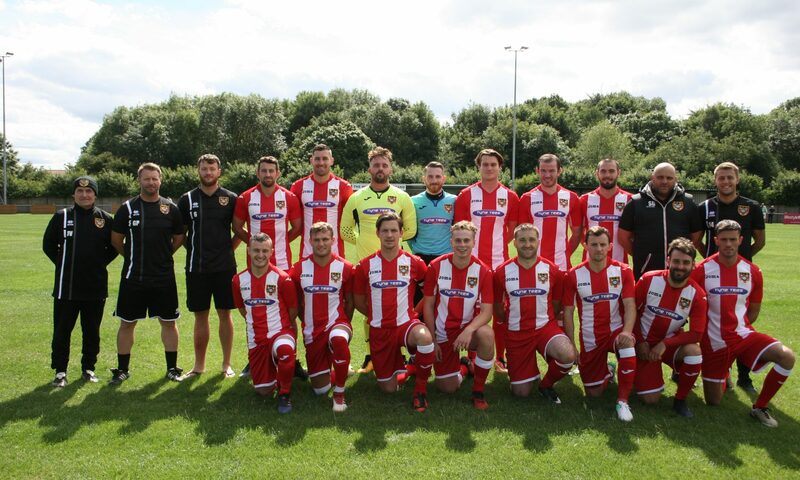 Beating a team well in the title mix should be another great confidence boost after they ended a long losing streak in the league at Whickham on Saturday. They now head into a game against North Shields on Saturday, who currently sit 9th in the league. “It’s fantastic to finally get the win against RCA after 1 draw and 5 defeats! “That’s our third win off the bounce and you can see the confidence building in the squad,” added Stuey on the impact of the win on confidence. “Beating a top six side always bodes well going forward,” he finished.